Leading seating supplier, Adient has come up with several innovations to keep seating clean in vehicles that are used for ridesharing. With the growing popularity of ride-sharing companies like Lyft and Uber, hygine becomes a central issue when it comes to shared vehicles. To address this concern, Adient has introduced seat covers that are removable and washable for vehicles that are used by multiple drivers and passengers. According to a company news release, these are ideal for an age when more people are renting cars and resort to carpooling and car-sharing to improve mobility and cut costs. Nick Petouhoff, executive director-engineering for Adient said that many more people are joining ride sharing organizations due to their reliability, convenience and cost. Keeping vehicles clean would enhance the riding experience and this is why Adient designed the removable seat covers. 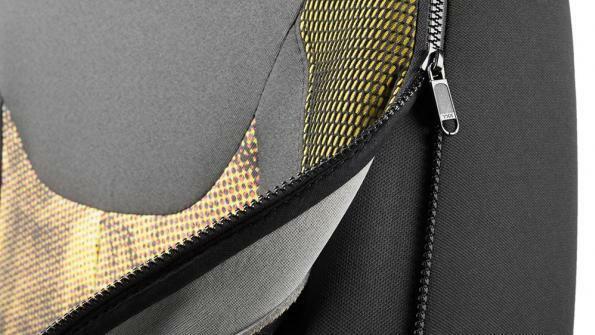 The seat covers come with an integrated zipper and are washable in 86˚ F (30˚C) water. There will be no damage to the foam inside when the cover is removed as there will be a protective lining that eliminates the need for the foam to be restored or replaced. The covers will get additional protection from the company’s FreshPer4mance coating, which can be added to the textile seat cover to make it liquid-repellent, stain-resistant, antistatic and antimicrobial. Dirt and grime can be removed easily with just one wipe, and there will be no marks on the fabric. Adient has in-house digital ink-jet printing capabilities that will make it possible to customize the seat covers to some degree by adding a variety of designs and colors. Adient has a workforce of 75,000 people engaged in producing seating for all major OEMs at 230 manufacturing/assembly plants spread across 33 countries.